MISSION — Mission Regional Medical Center is experiencing a wave of layoffs as it prepares for its acquisition by Prime Healthcare Foundation, the hospital confirmed late this week. The layoffs are said to be high in number, according to a source who first notified The Monitor about the layoffs but who did not wish to be identified, though the exact figure provided by the source could not be independently verified. However, the cuts constitute less than 10 percent of the hospital’s total workforce, according to a statement issued on Friday by Kane Dawson, incoming CEO for Mission Regional Medical Center. 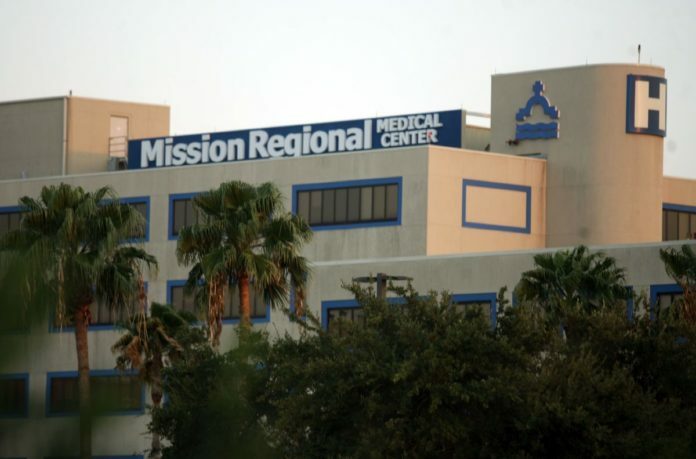 Prior to Dawson’s statement, Nick Espinosa, marketing and planning director for Mission Regional, issued a statement on Thursday in which he said the hospital was at a point that required adjustments. “Over the last two years, Mission Regional Medical Center has experienced a significant decline in inpatient volumes, and a reduction in reimbursement common with standalone hospitals throughout the country,” that statement began. The layoffs come as the closing of the agreement between Mission Regional and Prime Healthcare draws near. The deal isn’t expected close until July 1 but it included a management agreement with Prime in the interim. The management agreement would begin the integration of system wide corporate resources, adjustment of overall operational expenses and “right-sizing staff levels,” according to Espinosa’s statement. “We value our people and for those who will be leaving, we thank them for all they have contributed,” he said in the statement. Prime Healthcare announced they had signed a definitive acquisition agreement with Mission Regional last month, though the sale of Mission Regional has been looming since May 2016 with interest from Doctors Hospital at Renaissance and Universal Health Services, the parent company of South Texas Health System which operates McAllen Medical Center and other local hospitals. DHR and Mission Regional had signed a non-binding letter of intent in August but it eventually fell through. Then in January news broke of a pending agreement with Prime when they announced they had signed a letter of intent. Earlier that month, the hospital laid off 40 employees including their sexual assault forensic unit. It is unclear if there will be more layoffs or what other changes the hospital will implement as part of the acquisition.